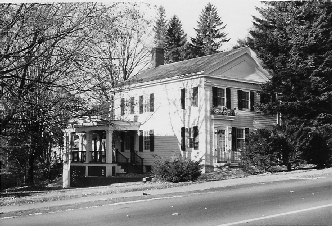 This house is owned by Robert K. Russell and, previously, by his father and mother. 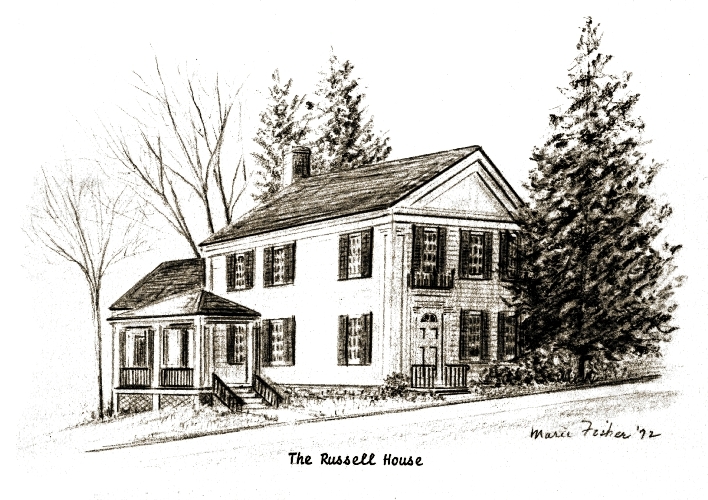 Because of the long-time ownership by the Russell family, it has become identified by that name. Not a great deal of information is available regarding this house; but, its very antiquity is established through the bake oven in the basement which remain to bear testimony to its early history. In 1867, this property was owned by Asa and Mary Crandall; in 1876 the map indicated that Ambrose S. Gilchrist was the owner.